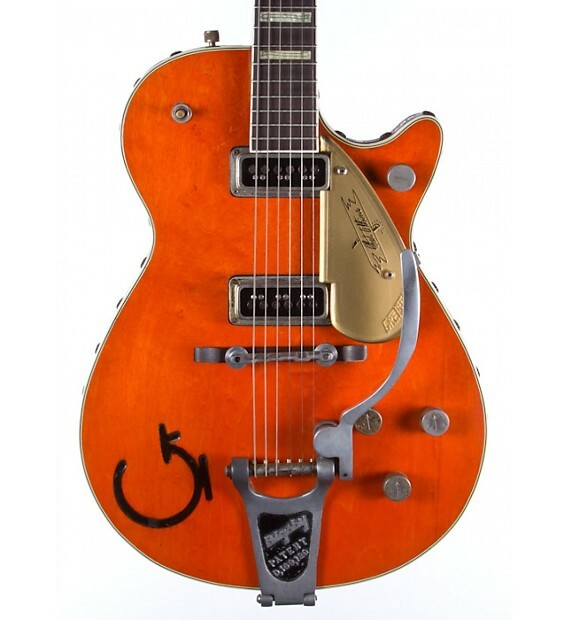 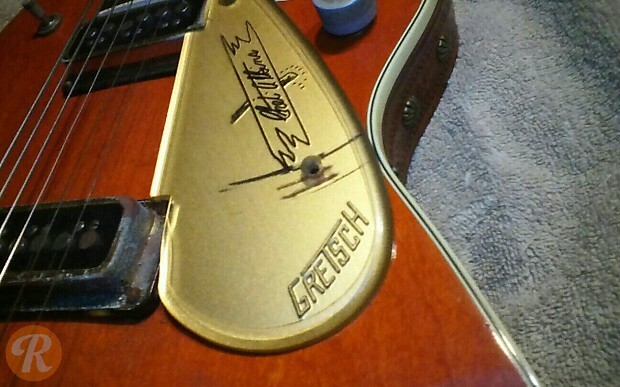 Released in 1955, the Gretsch Chet Atkins solidbody was similar to the Gretsch Roundup, but used a bigsby instead of a 'belt-buckle' style tailpiece and a Maple instead of Pine top. 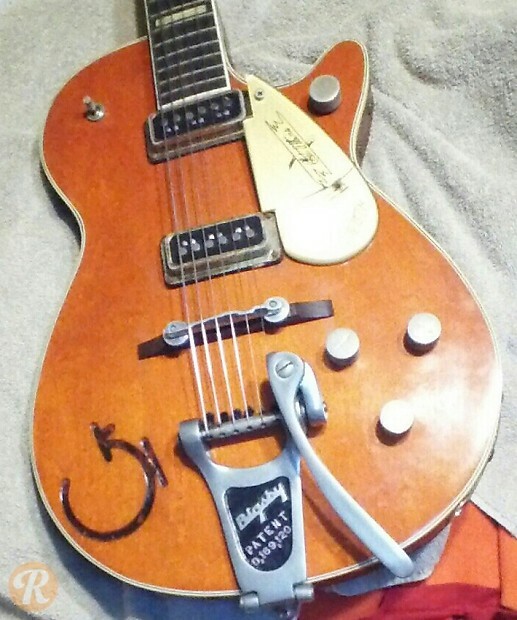 Originally, this guitar featured a large "G" logo on the bass side, though this was dropped from the model in 1957. 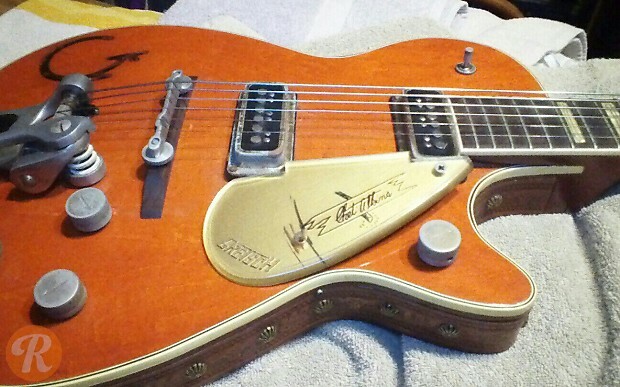 Earlier models with the "G" are more desirable.